Feel the difference! Unique, high quality, smooth movement-based swings for the whole family. 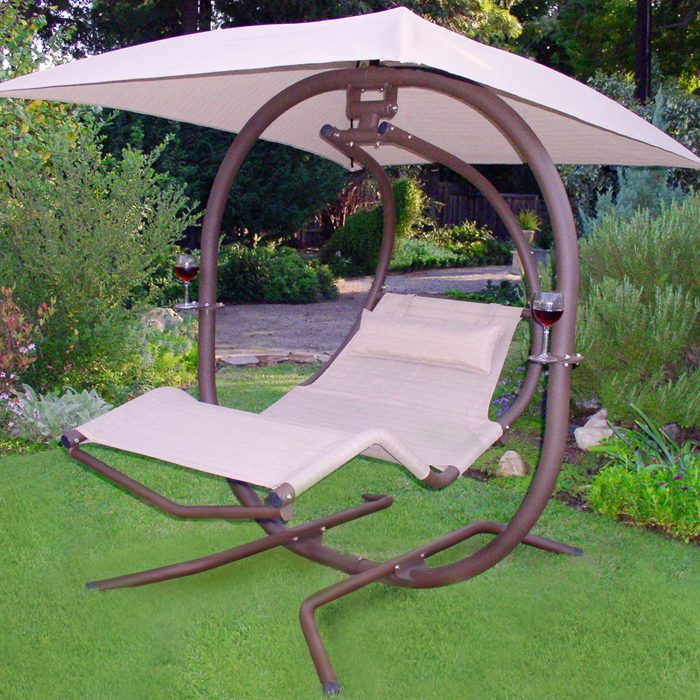 Pendulum swings provide a calm and relaxing motion. 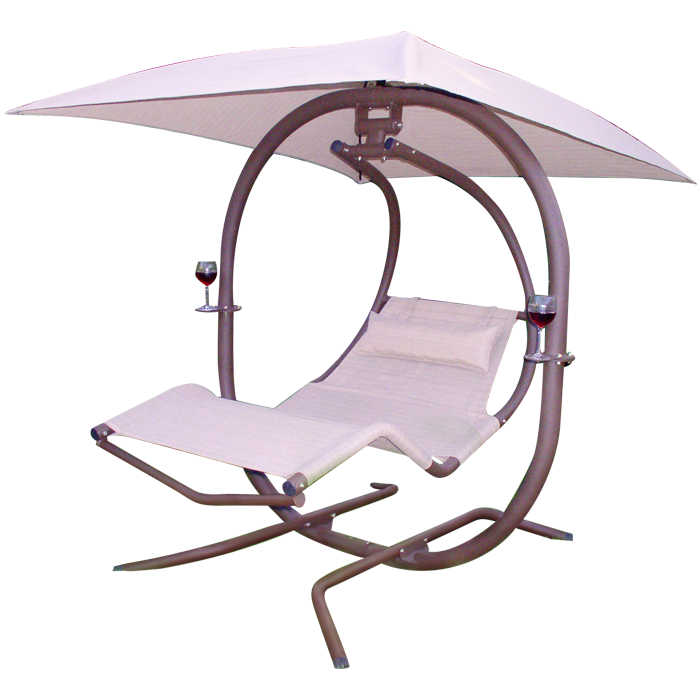 Health in Motion swings have a solid frame, which provides a secure movement without lateral motion. Frame Heavy-duty 3" round 11 gauge and 14 gauge tubular steel. Powder Coated Finish Polyester Electrostatic Resin powder coat offers a durable, low maintenance finish. Parts Hardware consists of 1/2" anti-rust coated bolts. Pivot Parts The pivot points have 2" precision sealed steel ball bearings, to ensure a smooth and relaxing motion. Seats The seat is made from a breathable PVC fabric which is contoured the give the body a weightless feeling. 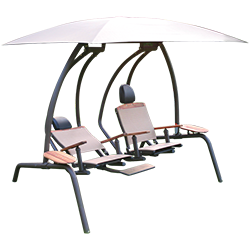 Included Canopy The 4' x 4' canopy is also made from breathable PVC fabric which is 80% UV resistant. Dimensions 88" Wide x 78" Long x 85" High. Sunset Swings 421 2 Person Swing.